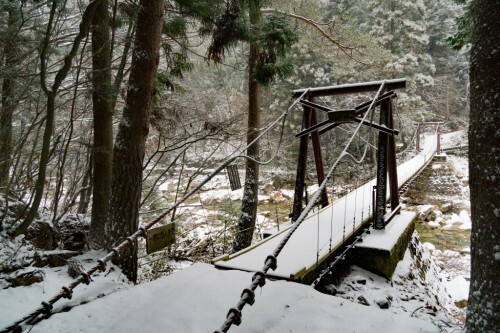 From the moment you arrive at the trail that leads to Kakizore Gorge in Nagano Prefecture you are surrounded by nature. 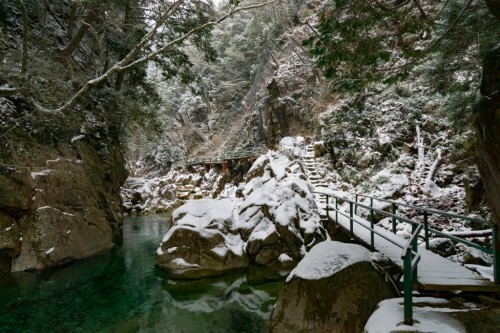 I was lucky enough to visit Kakizore Gorge in the middle of winter towards the end of December, and although this may not be the most popular time of year to visit the area, this fact created a situation that made winter at Kakizore Gorge the ideal time to visit. The situation that I am referring to is that there were literally no other tourists along the trail. As someone who has visited a lot of the more famous tourist destinations in Japan, I know that one of the drawbacks of these spots is that you are constantly surrounded by crowds of tourists, all of whom are struggling to get the best possible view, photo, or resting spot. 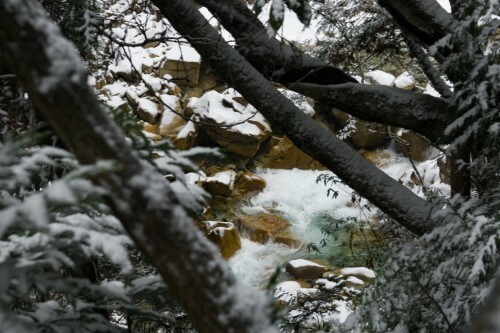 During my visit, there was fresh snow on the grown which brought out the rich brown bark and green leaves of the local plant life, but no matter the season the scenery is sure to be stunning. 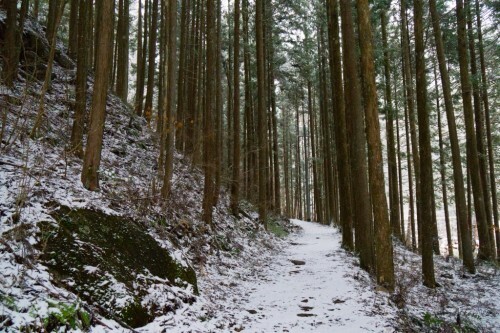 The trail begins in an area that is surrounded by tall trees. After a short walk, you will arrive at a very well-maintained suspension bridge that will lead you to a fork in the road, one path leading to the waterfall and the other, which I did not have the time to explore, leads to some kind of large tree. The path on the left leads to Kakizore Gorge where you are able to walk alongside the river leading to a magnificent waterfall. All along this trail, you are side by side with nature, you can take a few steps off the trail to get a better look at the immaculate river or look up into the mountainside and just appreciate all of the untouched forests; filled with ferns and small streams feeding into the large river. The fact that I was the only one on the trail meant that I could explore everything at my own pace. I didn’t have to worry about getting in the way of someone else’s photo or of someone getting in the way of mine. More importantly this created an atmosphere of peaceful isolation. Far from the crowds and sounds of the city, Kakizore Gorge surrounds you with the tranquil sounds of nature. 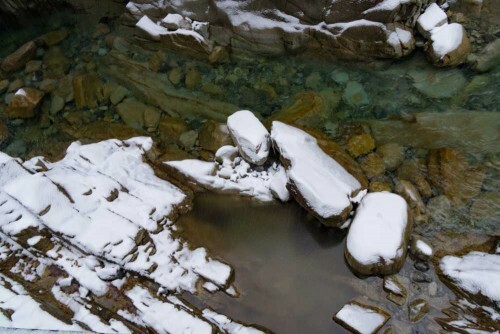 The immaculate streams, which vary from motionless pools of crystal clear water to raging rapids as you near the mouth of the waterfall that awaits you at the end of the trail, will leave you feeling cleansed. Though this isolation has some definite benefits, it is also important to remember that safety should be your number one priority. 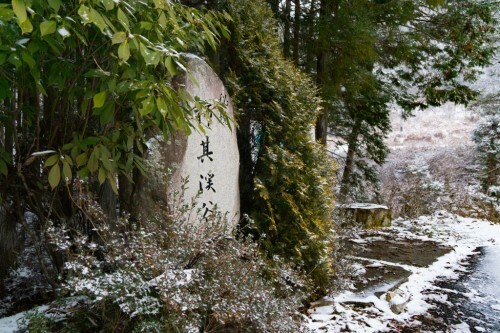 On the day of my visit to Kakizore Gorge it was snowing quite heavily and there was part of the trail, especially the stairs and the rockier areas of the trail, that had some very slippery ice. If you plan on visiting during the winter months, it is advised that you travel with a partner as well as bring with you the appropriate winter gear. 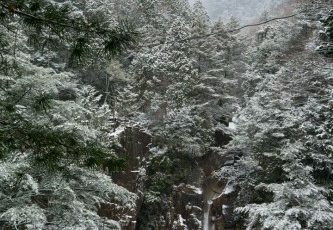 Kakizore Gorge can be accessed by taxi from Junikane Station, which took somewhere between 10 and 15 minutes (because of the snow). 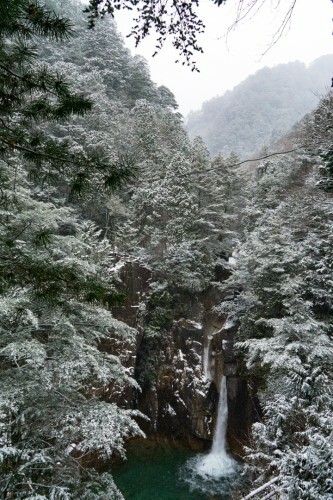 Although it is technically possible to walk to Kakizore Gorge it would take at least 1 hour from Junikane Station. 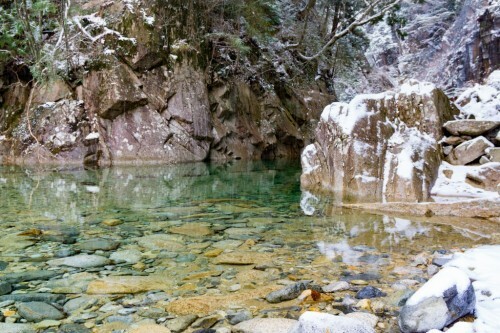 The post The Peaceful Isolation of Nagiso’s Kakizore Gorge appeared first on VOYAPON. Goldfish swallowing: The psychological relief for all asthma sufferers?